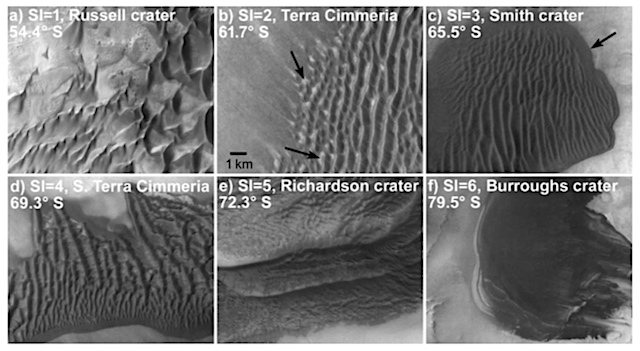 In this study, we investigated the activity of dunes and ripples in the middle and high latitudes of the southern hemisphere of Mars. We combined our results with those from investigations that looked at how the bedforms are degrading and being modified from nonwind-driven processes, indicative of dune inactivity. This entry was posted in Reports and tagged dunes, ground ice, sand dunes, Southern Highlands, southern polar dunes. Bookmark the permalink.